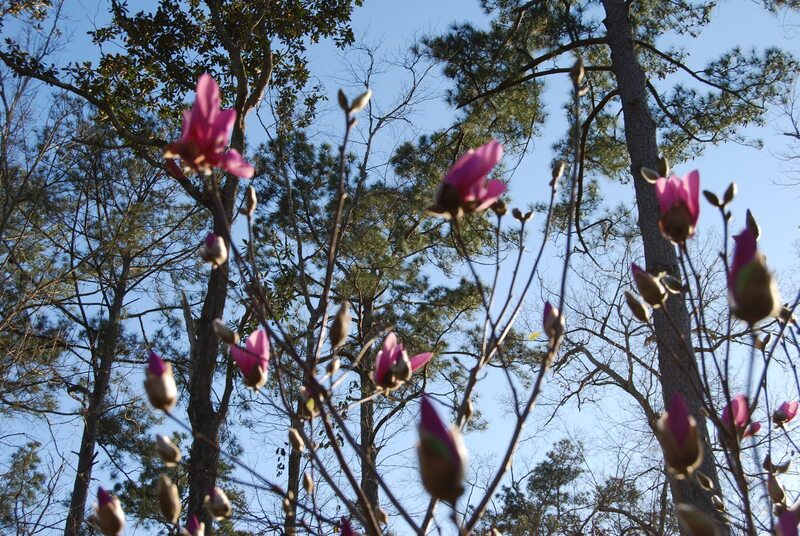 Springtime is very near here in Southeast Texas! 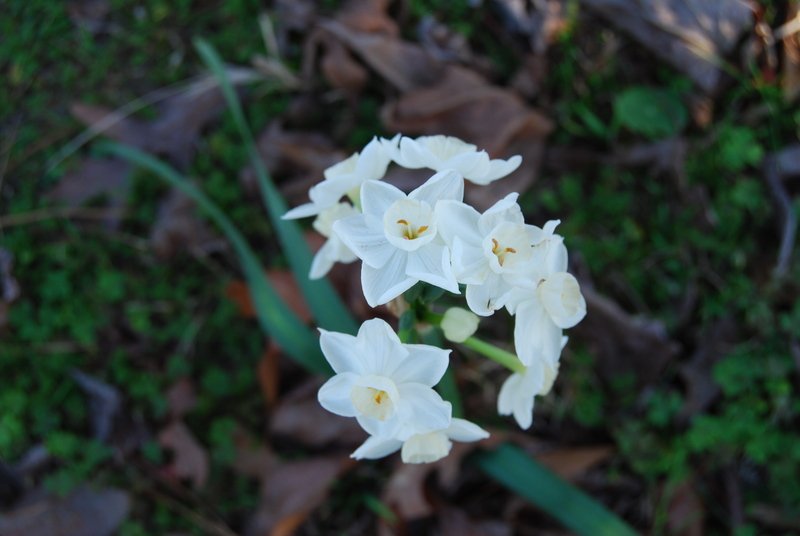 and hyacinths and even a few brave azaleas are peeking out. 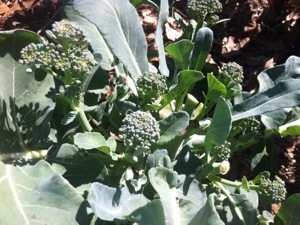 Last spring I planted a few broccoli plants and was amazed at how prolific they were! 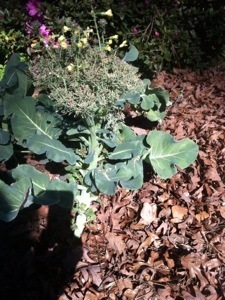 I didn’t think broccoli would thrive in our hot weather. I did give out by June but had made tons before that. 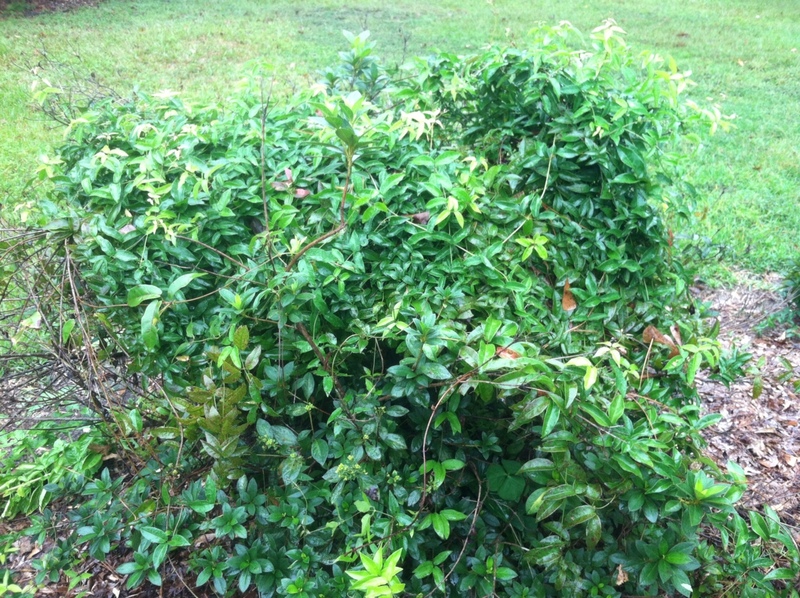 So this year, I got a dozen plants and we have had an abundance! I used it to make my broccoli salad at Thanksgiving and Christmas, but for you veggie purists, this week I made it plain. 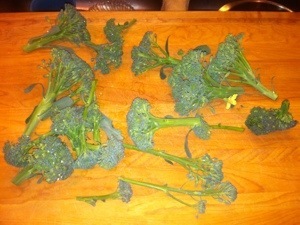 May I just say how much better broccoli is when it’s fresh from the garden? 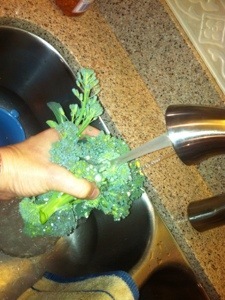 Cut your broccoli when the buds are tight. 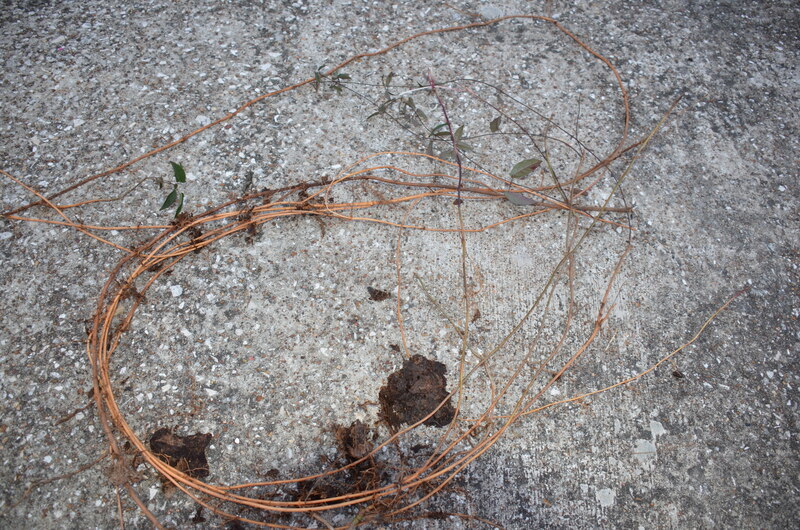 I let some of these go too far– there were even a couple of flowers! 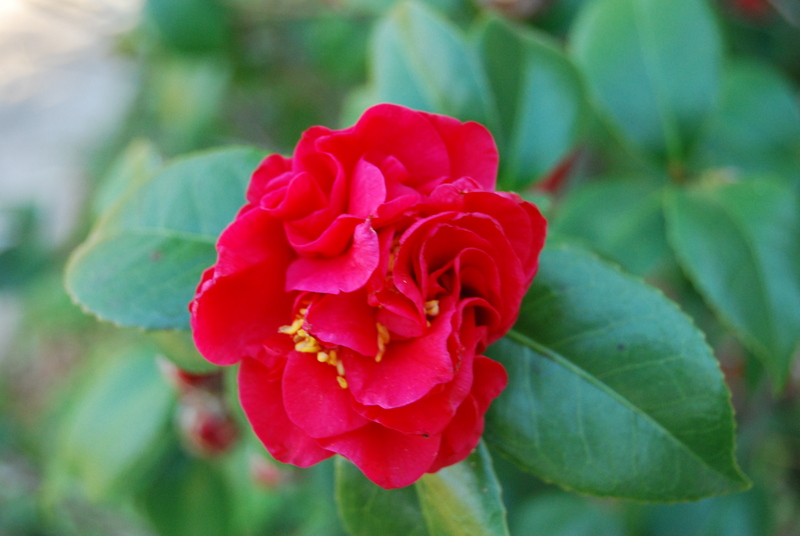 If more flowerets are forming, be sure to leave them there. 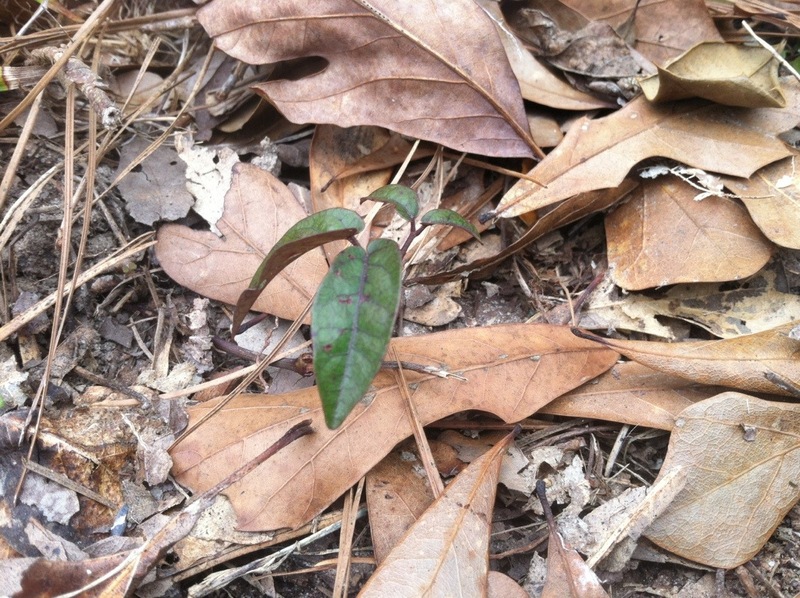 unless you let it go to seed. I let this one go too long so decided to sacrifice it for next year’s seed. 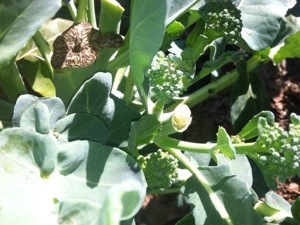 Notice there are no side shoots because the energy is being used in seed production. Wash it good. 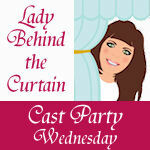 I haven’t used pesticides but we do have animals that run loose in our neighborhood! Chop it as much as you like. 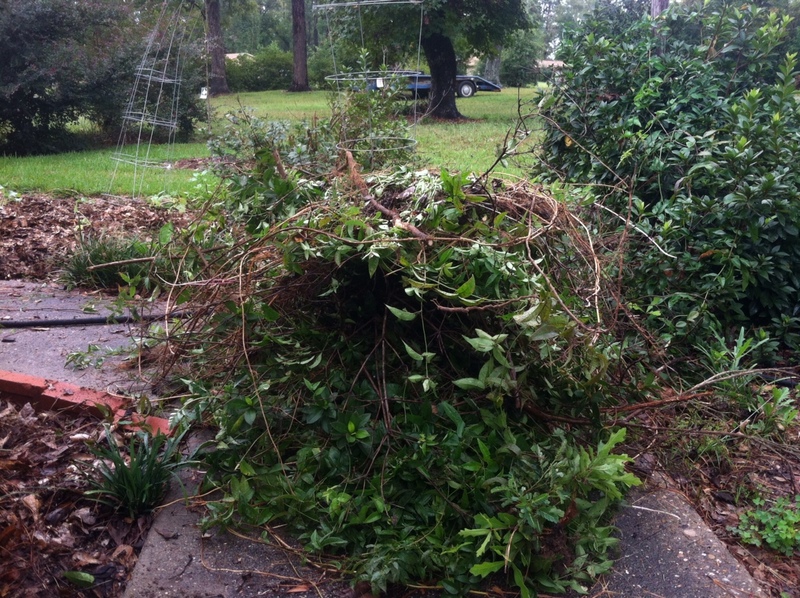 I like fairly big chunks, so I cut the florets off but don’t chop them. 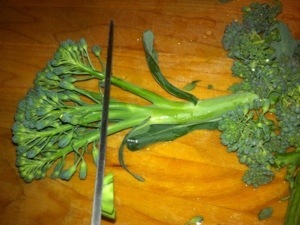 When you cut the broccoli when it’s young, the stems are plenty tender. I used all of this. I put it in a small glass bowl, added about a tablespoon of water, and covered. Microwave 1 minute and stir. Depending on the amount, you might need to cook another minute. Then, go ahead and add a tablespoon of butter! MMM…. delicious…. and so good for you! Combine in microwave-safe bowl. Cover and cook on high 1 or 2 minutes. Our Constitution does not control us unduly, because it’s understood that we will exercise SELF-control. I sometimes get depressed and discouraged, listening to the news and hearing about selfish people demanding their “rights”, regardless of how those “rights” affect other people. I suppose those thugs who demonstrate and spew hate at military funerals have the “right” to do so, but it is still WRONG for them to do it. There is a legal battle going on now in my neighboring town of Kountze, where the high school cheerleaders began painting encouraging Scriptures on the run-through signs (instead of things like “Kill the bears!”) and ONE PERSON got offended and wants it stopped. My two cents says my freedom of religion doesn’t mean you can’t practice your freedom of religion. We are right smack in the Bible belt here in Southeast Texas, and the vast majority of people who attend the games are very supportive of the girls (even before it became such a hot issue). If I were in a predominantly Jewish, or Buddhist, or Muslim community, and the children held up signs with teachings from their Sacred Books, I would not be offended and insist they take them down, or add Christian messages! But I thing my student was really just talking about zipping her lips. Sometimes we all say things that maybe are right, but are not necessary. What’s the acronym? TRUTH? Is it true? Is it right? Is it ___??? Is it helpful? (I can’t remember or find them all! Help me!) 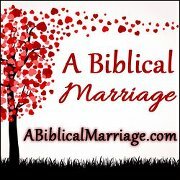 Or as the Bible says in Philippians 4:8, Whatever is true, noble, right, pure, lovely, admirable– if anything is excellent or praiseworthy, think on these things. I don’t think we would be defiling Scripture if we would say SPEAK these things. So thank God for your rights and freedoms. But don’t take advantage of them and hurt others. Speech is not free. I’ll print easy, all-in-one-place directions at the bottom. Start with chicken pieces or, if you really want to be authentic, boil a hen. Hens are richer and the meat will hold its flavor. It’s more trouble of course, because you have the skin and bones to remove, but if you’ve got the time, it’s worth it! However, I used breasts and thighs. I boiled half, so I could get broth, and roasted the others, to hold on to more flavor. I had boiled the chicken the night before so I had it chopped and had the broth in a pitcher. 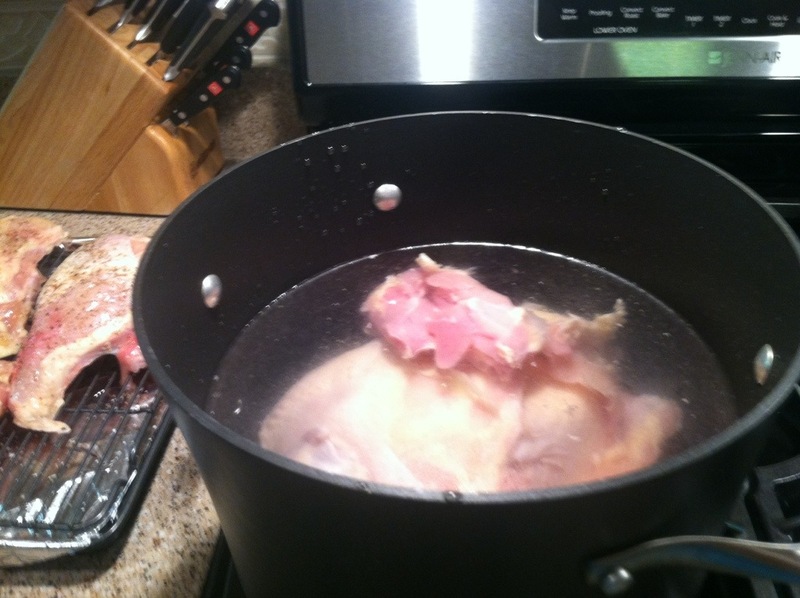 To boil, cover chicken completely with water in a tall stock pot. Salt and pepper liberally! 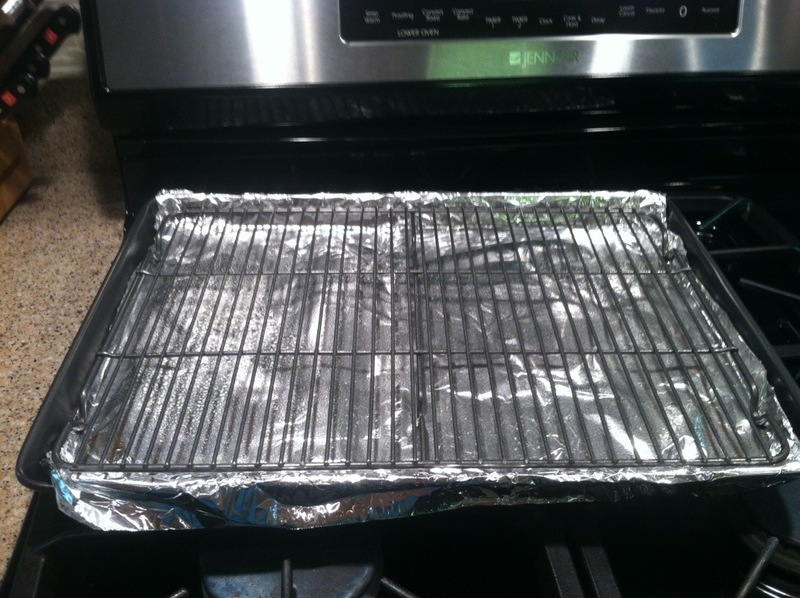 To roast chicken, line a jelly roll pan (a cookie sheet with tall edges) with parchment or foil for easy cleanup. Spray the roasting rack with Pam. If you don’t have one of these gizmos, get one ASAP! 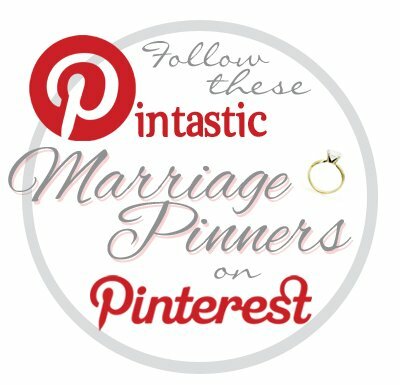 They are great for roasting meat and veggies! Salt and pepper the chicken pieces, then roast at 400 35-50 minutes. Use a meat thermometer and make sure the meat gets to 180 degrees. 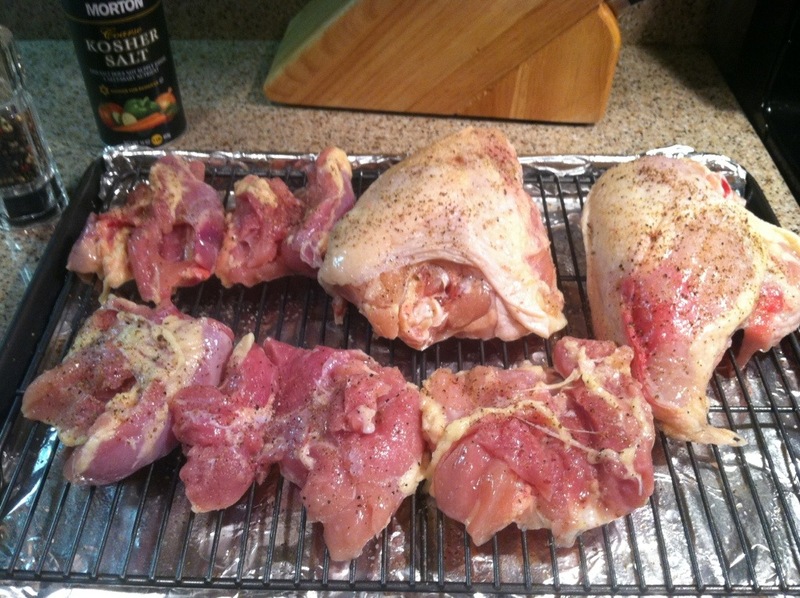 Boneless meat like these thighs will cook faster than bone-in parts like the breasts. If you don’t have a meat thermometer either, you need to get to the store! Next chop a large onion and 4 or 5 stalks of celery. My son the chef introduced me to a chef’s knife like the one above. I was a little scared to use one, till he brought his and gave me an inservice. Now I love it! You keep your fingers well out of the way- just rock it up and down and keep your hand on top. Along with a meat thermometer and roasting pan with rack, a good knife is a MUST in the kitchen! Go ahead and invest in a Wusthof or something comparable. It might run $100, but it will last forever. Keep it sharp. It’ll change your life. You can see, you need a lot of onion! 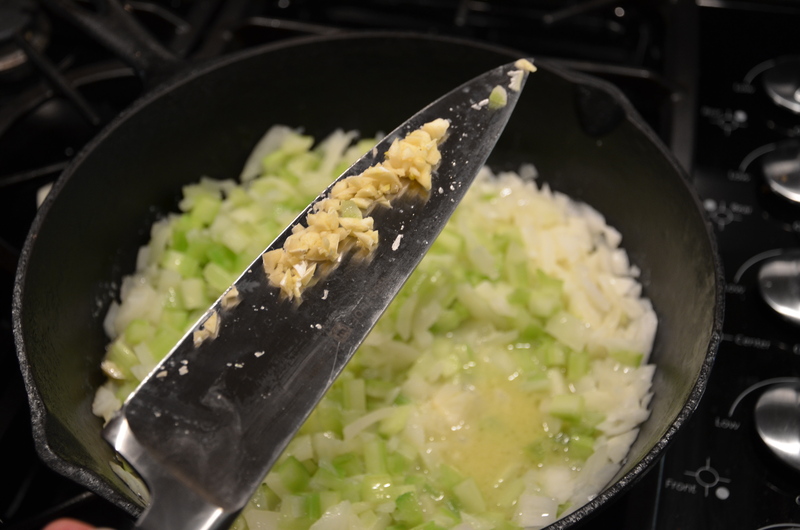 You can chop a lot of celery with a big knife! 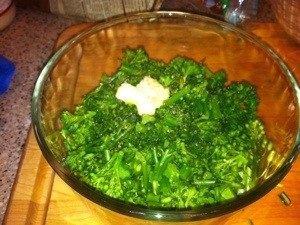 While you’re chopping the veggies, melt a stick of butter on medium-low heat in a heavy skillet, then add the veggies. 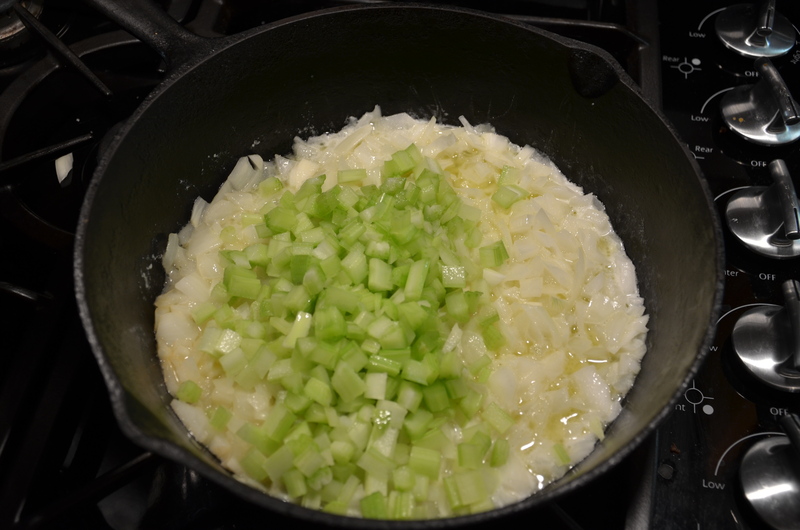 After the onion and celery cook a bit, add some garlic. 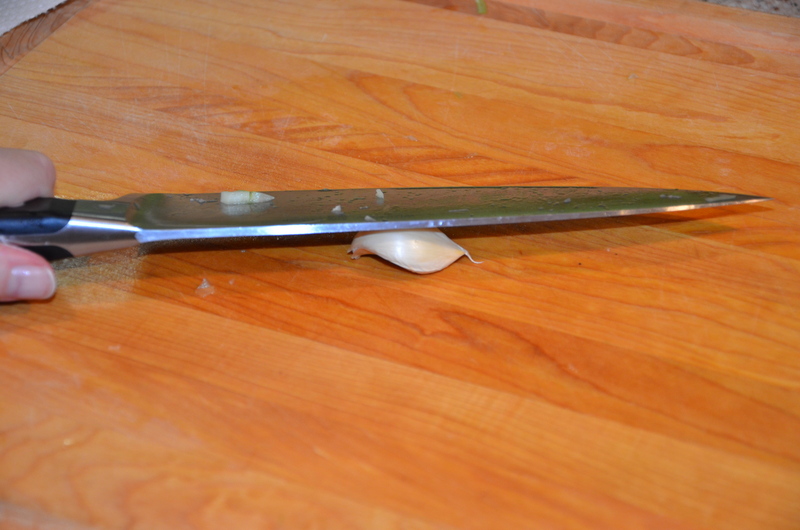 Lay your knife on top of the clove and smash it! Then mince it. While the veggies are cooking down, begin chopping up the meat. We like ours in fairly small bite sizes; cut them like your family likes. 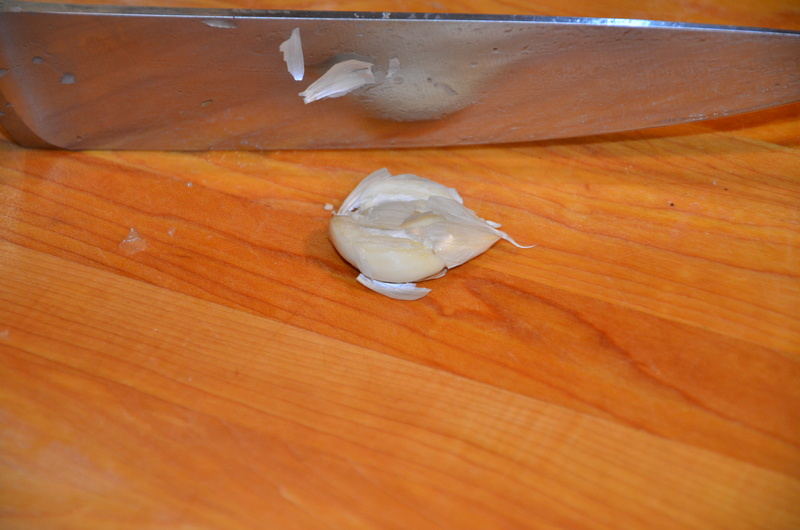 Again, with a big, sharp knife, you can make quick work of the chicken and sausage! 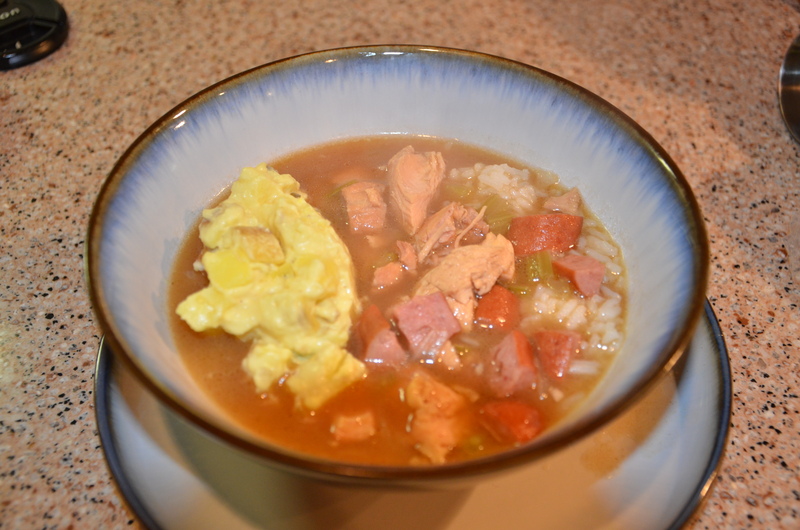 This gumbo was a 3-night- affair, so most of my chicken was already cooked and chopped. I just had to debone and chop the roasted breasts. 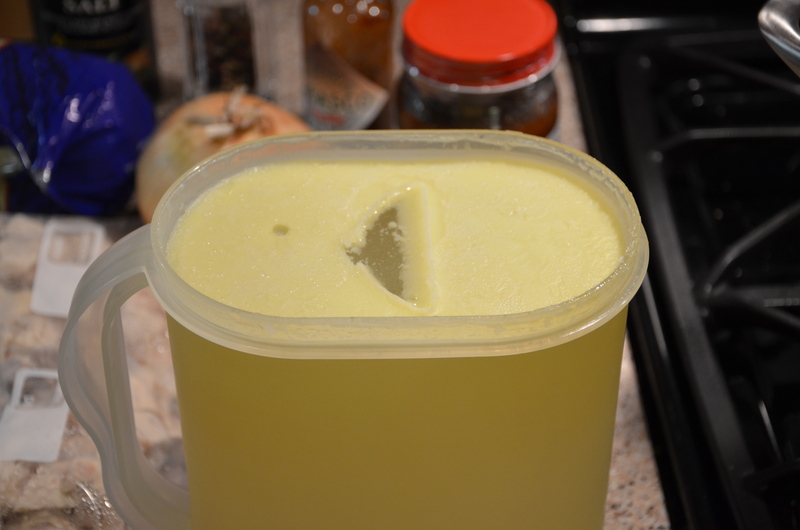 Here’s a handy hint: If you boil your chicken ahead of time, refrigerate the broth; the fat will solidify on the top and you can remove most of it easily. 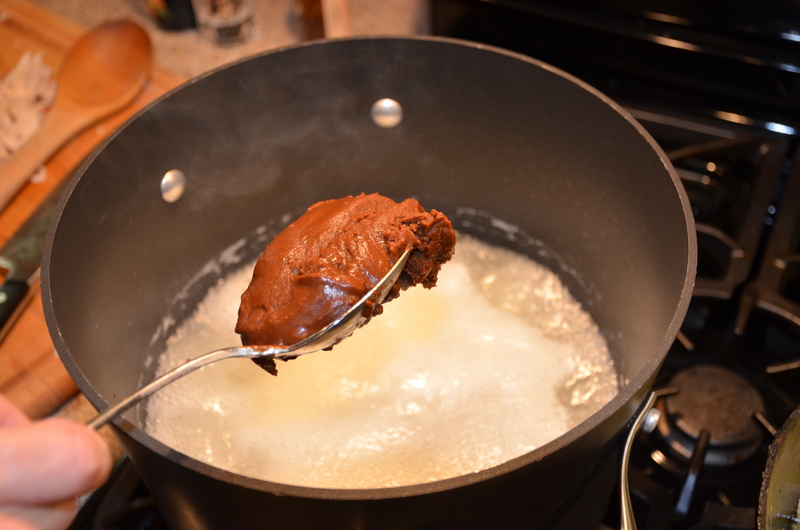 Now I think the roux is what scares people about making gumbo. I’ve made traditional roux, roux with browned flour only, and jarred roux mix, and I promise, I like the jar as well as any other, and it’s much less time-consuming! 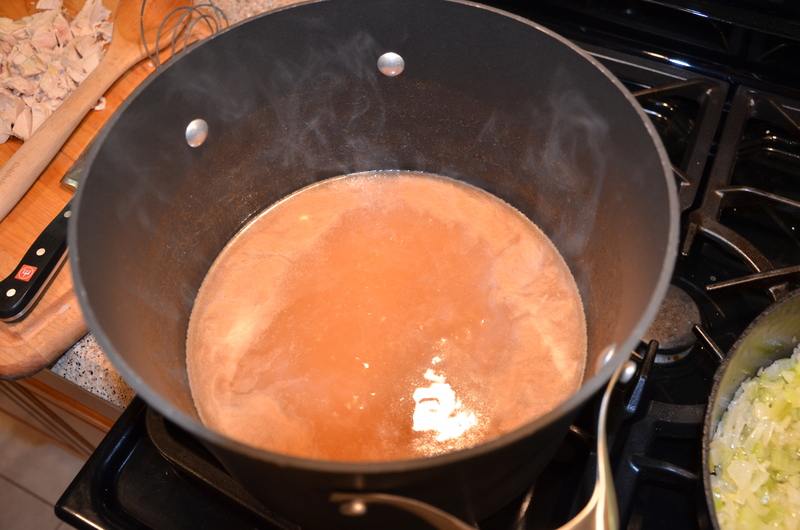 There is a trick though, you must get your broth to a FULL, ROLLING boil when you add the mix, or it will never dissolve. Follow the directions for the amount to use. If you like thicker broth, add more; for thinner add less. Then stir, stir, stir! This is the color to expect when it’s blended: I’ve heard it described as a melted Hershey bar. Once your roux is smooth, add the veggies and the meat, then let it simmer a bit. 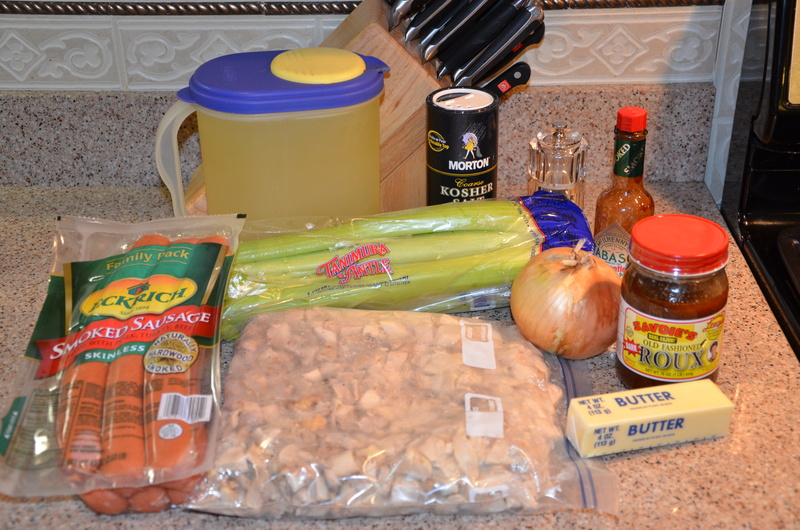 Boil 1/2 large pkg chicken breasts and 1/2 large pkg chicken thighs. Roast the rest of the chicken at 400 degrees. 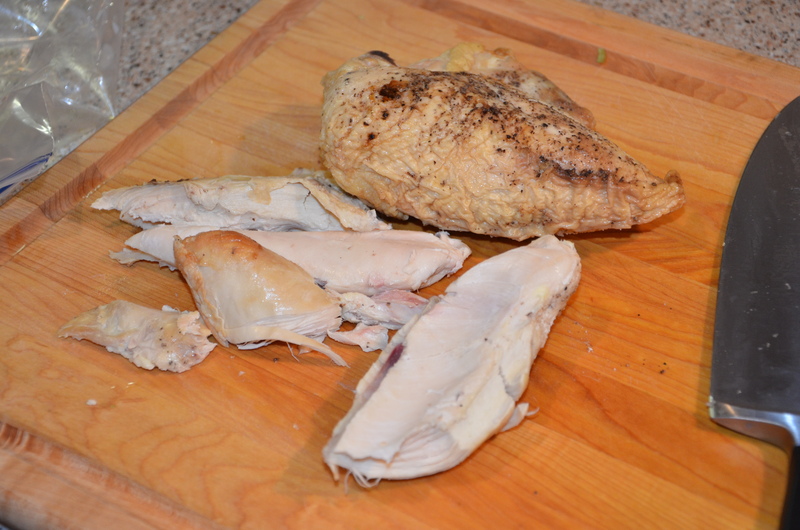 Chop all cooked chicken into desired size. 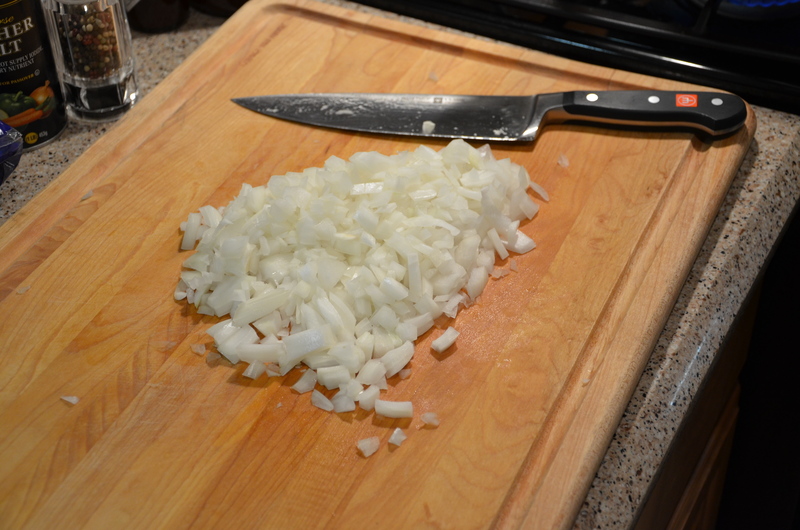 Chop 1 large onion, 4-5 large stalks celery. Sautee with 1 stick butter in heavy skillet. 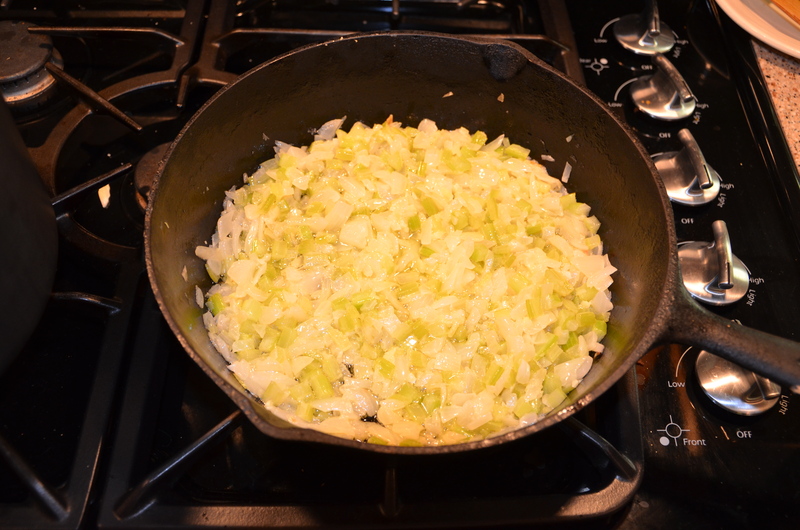 Add a large clove of minced garlic. Cook till soft and transparent. When roux is smooth, add meats and veggies. Simmer, covered as long as you can stand it. Serve over rice, and add potato salad for a Cajun experience! Find a Cajun music channel on Pandora and l’aissez les bon temps roulez, chere! 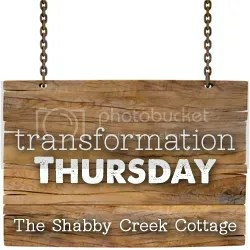 Today I’m linking with The Shabby Creek Cottage and The Lady Behind the Curtain– go visit and see what other goodies you can find!